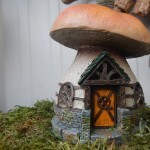 Create Your Own World in Miniature! 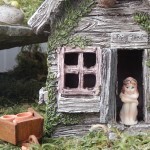 Dress as a Fairy or Woodland Character and get a Prize! 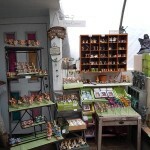 We will provide some costumes for Photos if needed. 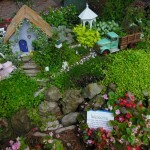 Miniature Gardens are the hottest trend in gardening, both for the avid gardener and for the novice or wanna-be gardener. 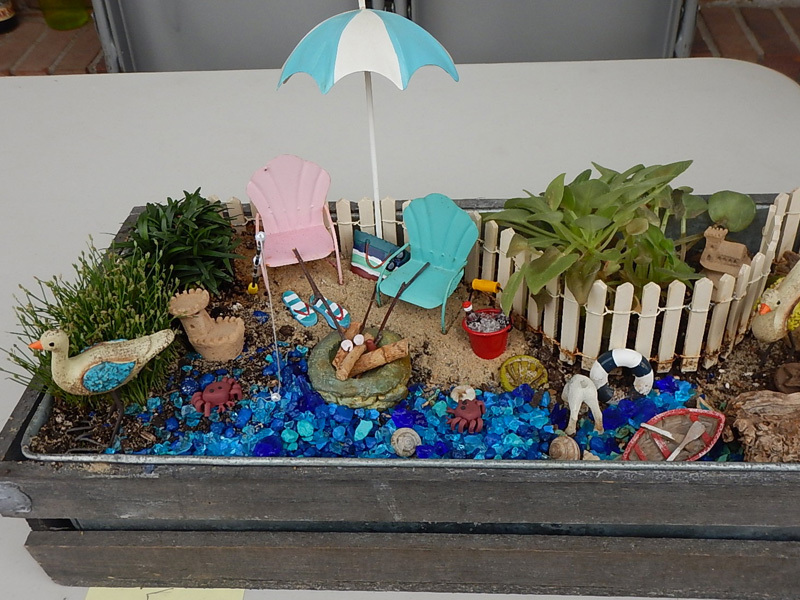 What Exactly is a Miniature Garden? 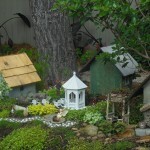 It’s a whole garden or landscape that’s scaled down to fit in a container or small area in your landscape. 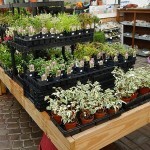 It’s plants, houses, patios pathways, walls, arbors, furniture – anything that is in a regular garden or landscape. 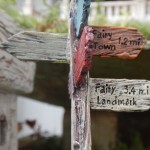 It can be realistic or fantastical – like a fairy garden. It lets you express your creativity. 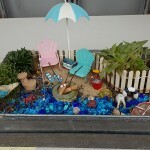 Its ‘do-able’ for anyone. 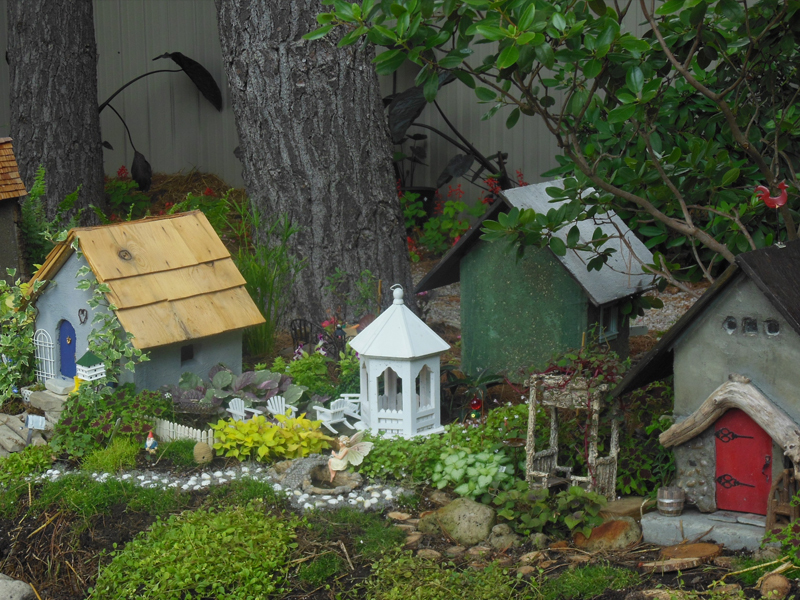 Trees, structures, hardscapes can be done by anyone without the heavy lifting and knowledge of professional landscapers or gardeners. 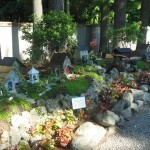 It is a HOBBY that can be shared by children and adults. 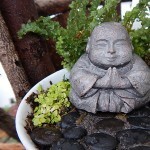 It inspires a love of nature in everyone. 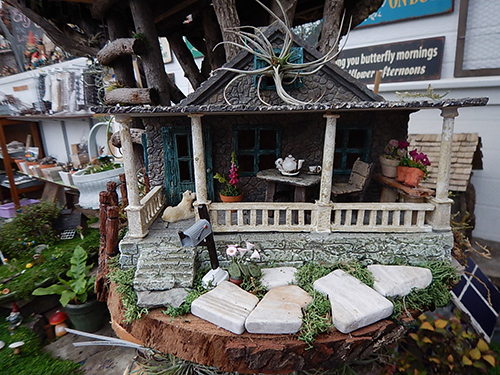 OAK PARK is your biggest and best source for all miniature gardening needs. 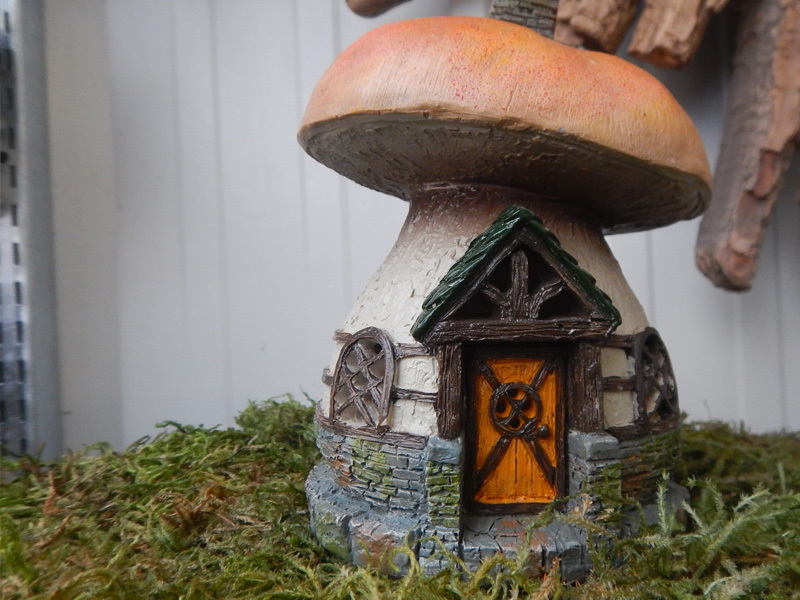 Classes, plants, structures, accessories, and inspiration. COME SEE WHAT ALL THE EXCITEMENT IS ALL ABOUT! 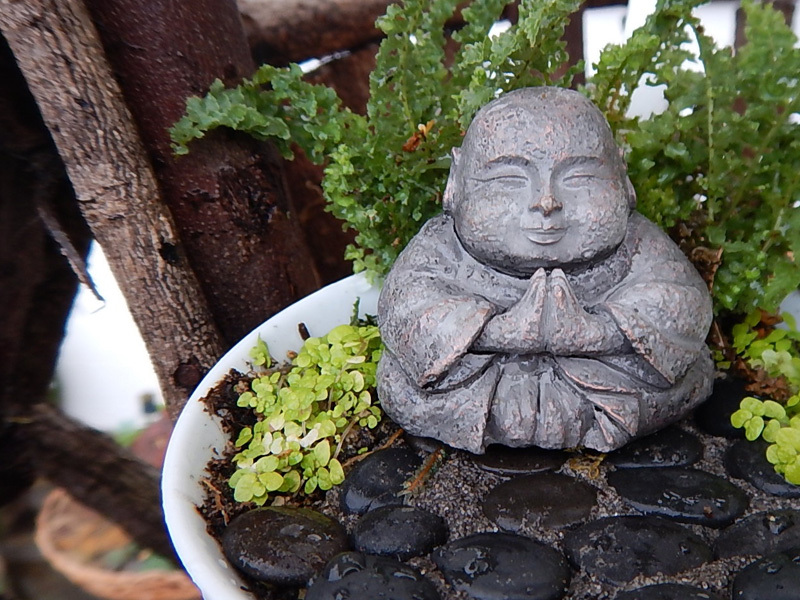 Warning: Miniature Gardening causes euphoria and you may become addicted. 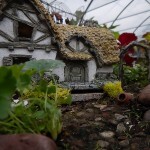 So much miniature gardening items and plants – You won’t believe your eyes! 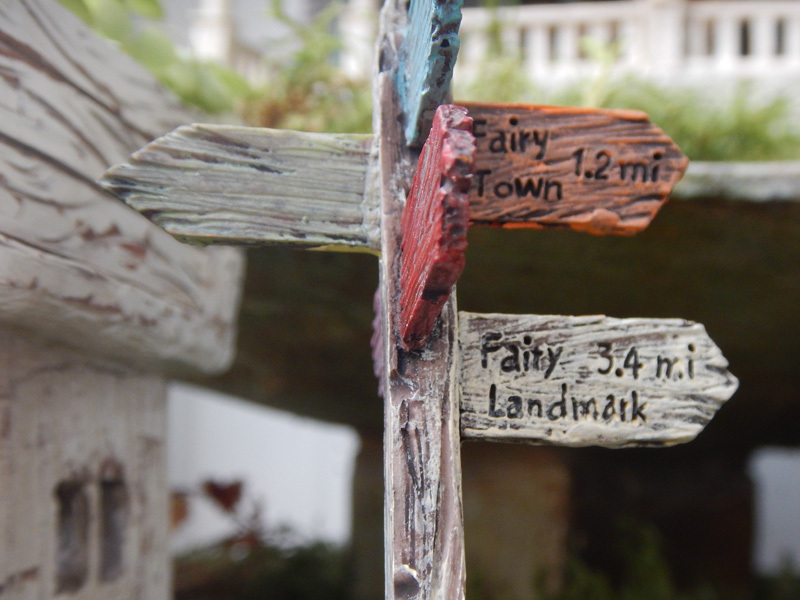 We have fences and gates, bridges and arbors, houses and fairies. 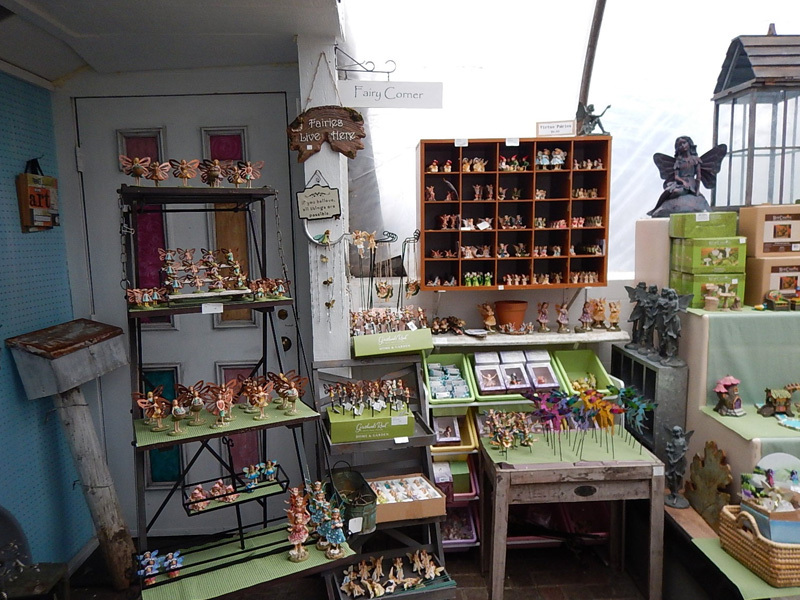 You name it – we have it in miniature – even cats and dogs! 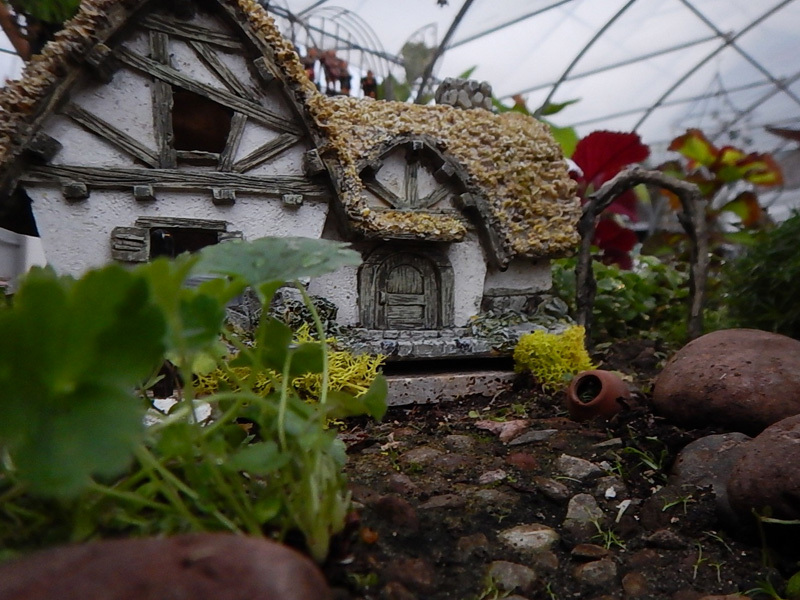 And Plants! 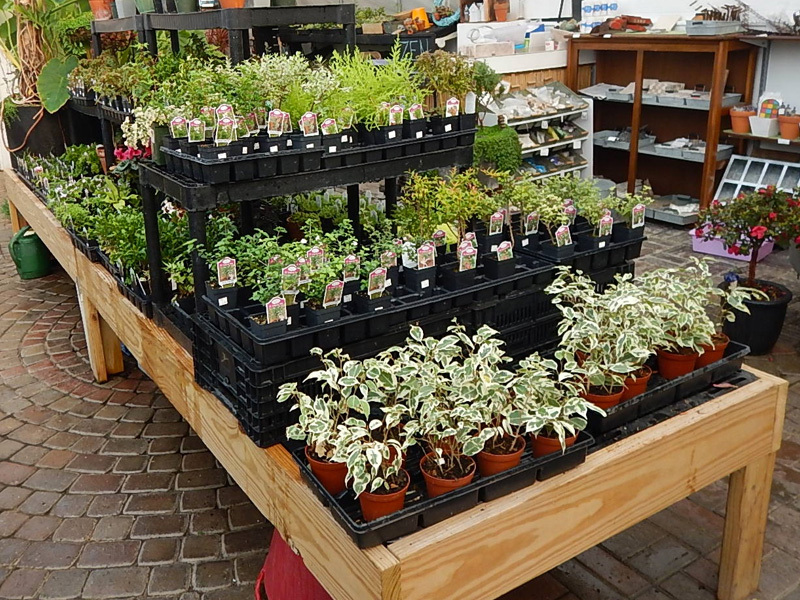 We have lots of plants for both an indoor garden or an outdoor miniature garden! 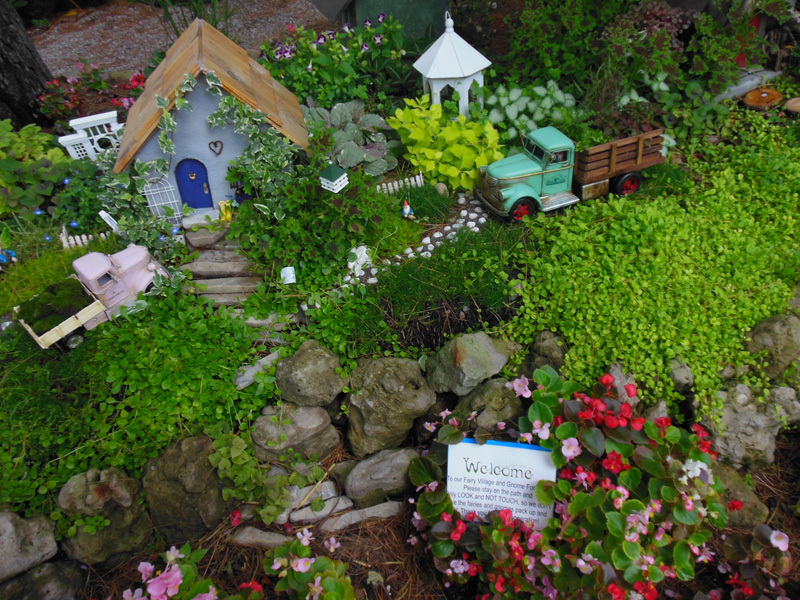 There are groundcovers, trees and shrubs, vines and even miniature hostas that don’t get much over an inch high! 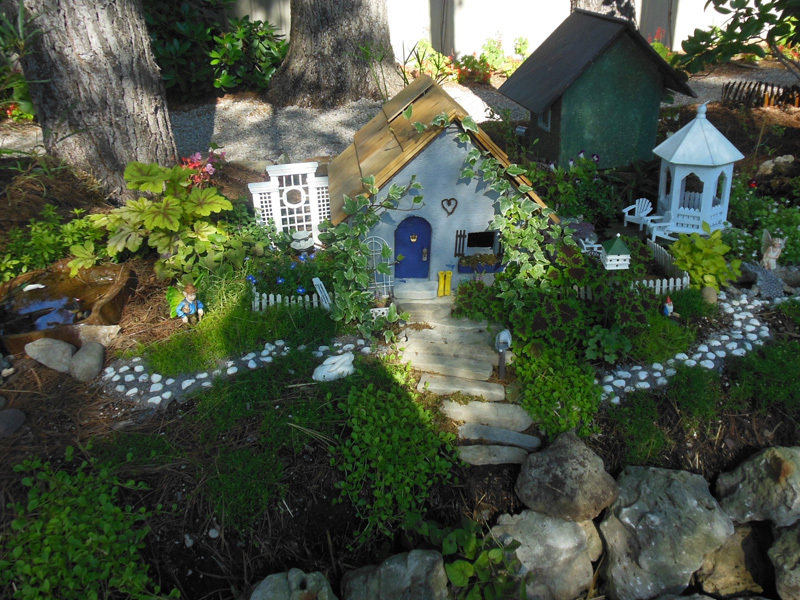 Our fairy garden designer, Michelle, has lots of gardens put together for inspiration. 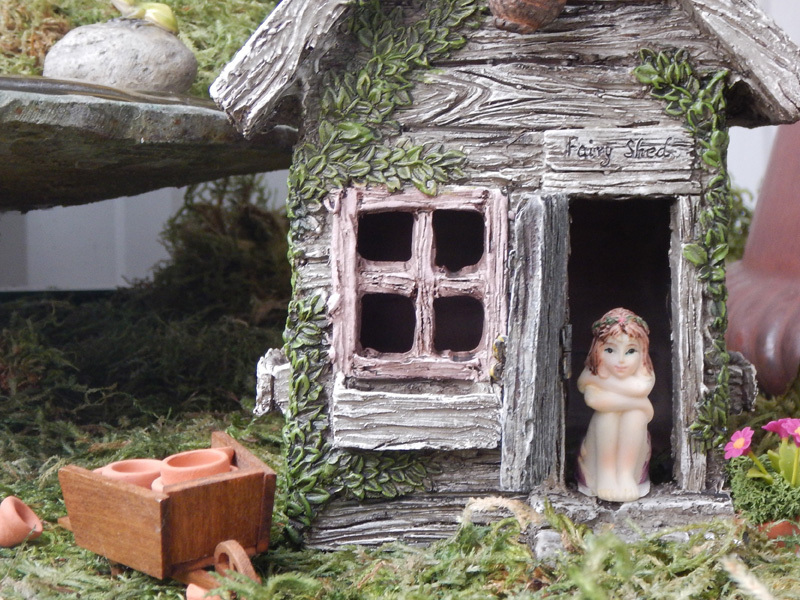 She is available to help you select everything for your own fairy garden, or she can put one together for you if you’d like. 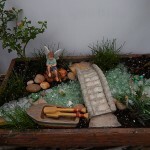 Fairy gardens or miniature landscapes make great gifts, they are a good way to connect with your kids or grandkids. 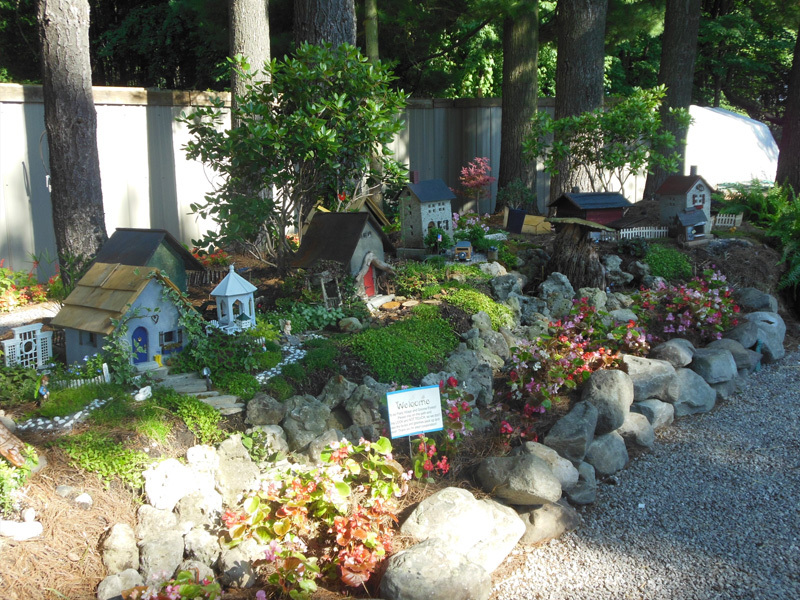 It’s all the fun of landscaping without the heavy lifting or the big hit to your wallet. Be warned! 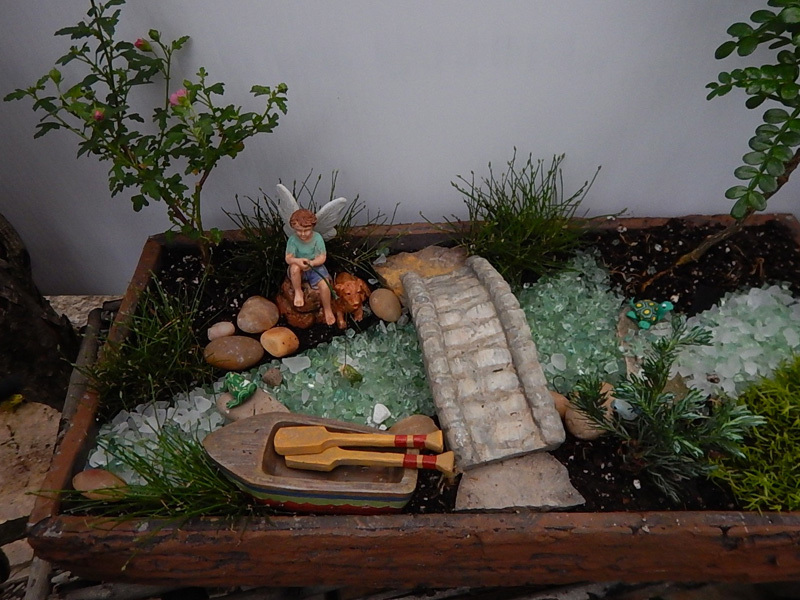 One fairy garden or miniature landscape is rarely enough. You will find yourself enjoying this past-time so much you will likely end up with several! 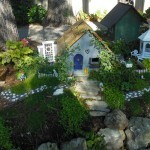 Copyright © 2019 Oak Park Water Garden. - All Rights Reserved.